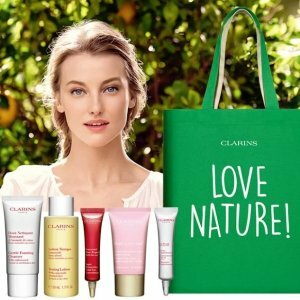 Clarins offers 6-pc free gift on orders over $100 ($88 Value), via coupon code "EARTH19". 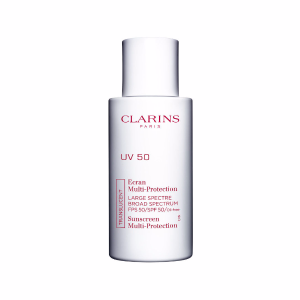 Clarins offers the Everlasting Cushion Foundation SPF 50 for $44. Plus, receive 6-pc free gift on orders over $100 ($88 Value), via coupon code "EARTH19". 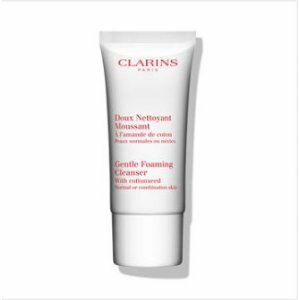 Clarins offers 10-pc frew gift with any orders, no code required. 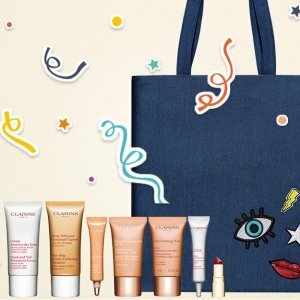 Clarins offers 8-piece gift on any $100+ orders via coupon code "BDAY19". 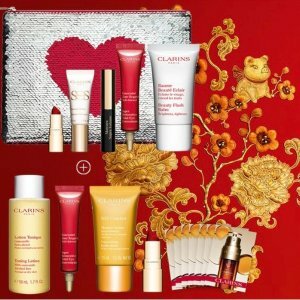 Clarins offers 7-piece gift on any orders. 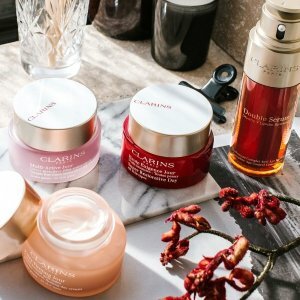 Plus，Clarins offers 6-piece gift on orders over $75 via coupon code "SPRING19". 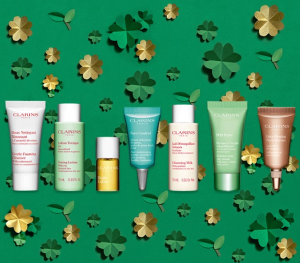 Clarins offers 6-piece gift on orders over $75 via coupon code "SPRING19". 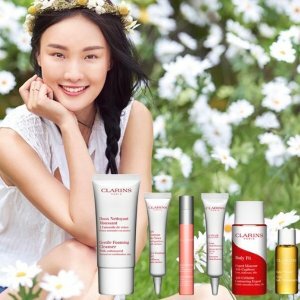 Clarins offers 10% off on orders over $50, via coupon code "BDAYDM19". In partnership with FEED, Clarins will donate 10 school meals with every order. Clarins offers 10%off on Maternity orders over $50, via coupon code "BDAYDM19". 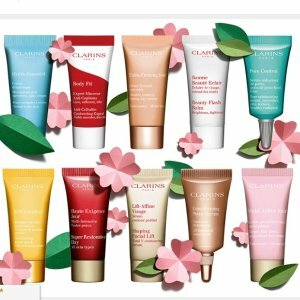 Clarins offers get 6-piece, including Super Restorative Day & Night on orders over $100, via coupon code "WOMEN19". 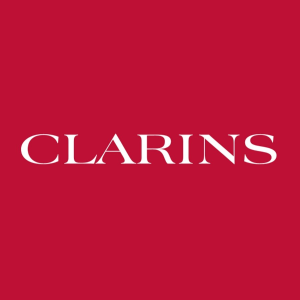 Last Day！Clarins offers Get 15% Off 1 Item, 20% Off 2 Items, or 25% Off 3+ Items. No code Needed. 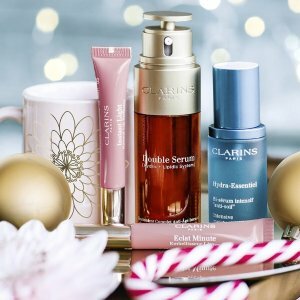 Last Day！Clarins offers Get 15% Off 1 Item, 20% Off 2 Items, or 25% Off 3+ Items on gift sets, No code Needed. 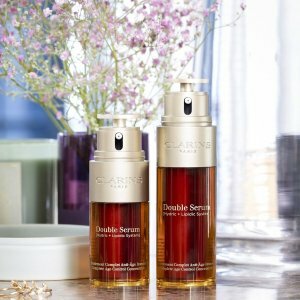 Last Day！Clarins offers the Get 15% Off 1 Item, 20% Off 2 Items, or 25% Off 3+ Items with New Double Serum, No code Needed. 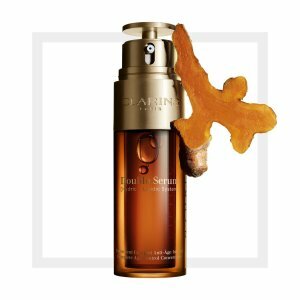 Last Day！Clarins offers Get 15% Off 1 Item, 20% Off 2 Items, or 25% Off 3+ Items Shaping Facial Lift, No code Needed. 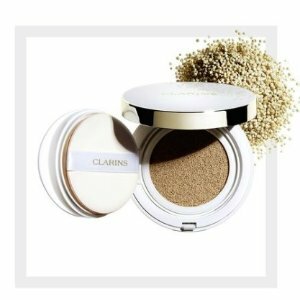 Last Day！Clarins offers Get 15% Off 1 Item, 20% Off 2 Items, or 25% Off 3+ Items on Maternity products, No code Needed. 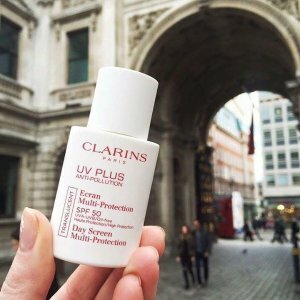 Last Day！Clarins offers Get 15% Off 1 Item, 20% Off 2 Items, or 25% Off 3+ Items on UV PLUS Anti-Pollution Sunscreen Multi-Protection Broad Spectrum SPF 50. 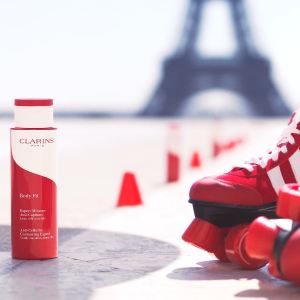 Last Day！Clarins offers Get 15% Off 1 Item, 20% Off 2 Items, or 25% Off 3+ Items on Body Fit Anti-Cellulite Contouring Expert. 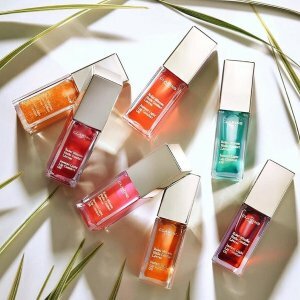 Last Day！Clarins offers the Get 15% Off 1 Item, 20% Off 2 Items, or 25% Off 3+ Items on Instant Light Lip Comfort Oil, No code Needed. 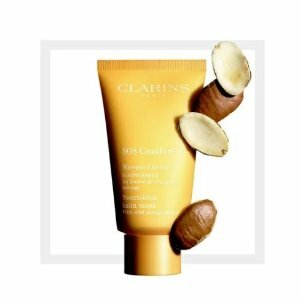 Last Day！Clarins offers Get 15% Off 1 Item, 20% Off 2 Items, or 25% Off 3+ Items on SOS Masks. No code Needed. 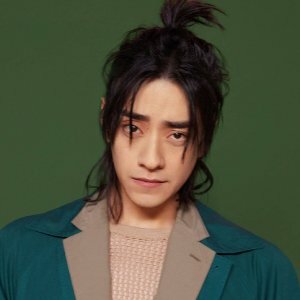 Chinese New Year Dealmoon Exclusive! 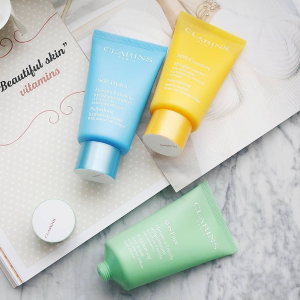 Clarins offers free 6-Piece Gift on orders over $100 via coupon code "LOVE19". Plus, get another 5-pc exclusive free git on orders over $125, via coupon code "CNY19DM". Plus, get another 5-pc BONUS gift with any $200 order via coupon code "LUNAR19".